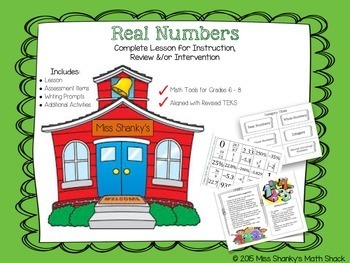 This download includes a complete lesson for introducing students to the real number system, including rational, irrational, integers, whole and natural numbers. 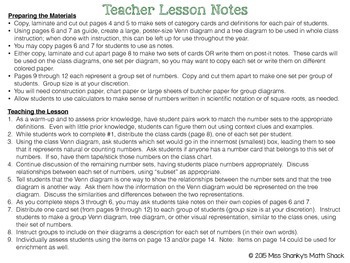 Explicit instructions for teaching the lesson along with 5 different sets of rational number cards for whole class and group use are included. Additionally, assessment items, both multiple choice and open-ended, writing prompts and other suggested activities are included. 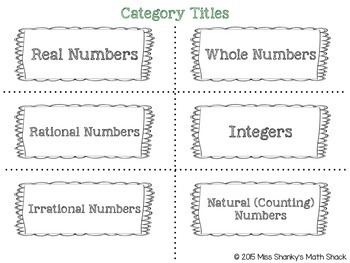 This product is closely aligned to Math TEKS 7.2A.